Mum-to-3, wife-to-1 and a self-confessed picture book geek. A picture book fanatic since I can remember, I possess my own secret stash (which my children have yet to get their sticky mitts on!). I truly believe that picture books are not just for children and I hope some of these books I share with you, will open your mind to the love of a good picture book. I’ve often bought books purely based on their covers and fabulous illustrations and I get a big kick out of a really good book. The marriage between limited text and expressive illustrations can reach a massive audience. A few years ago, I self-published two of my own picture books, but am in utter awe of the geniuses that do this for a living and produce some utterly bedazzling treasures. 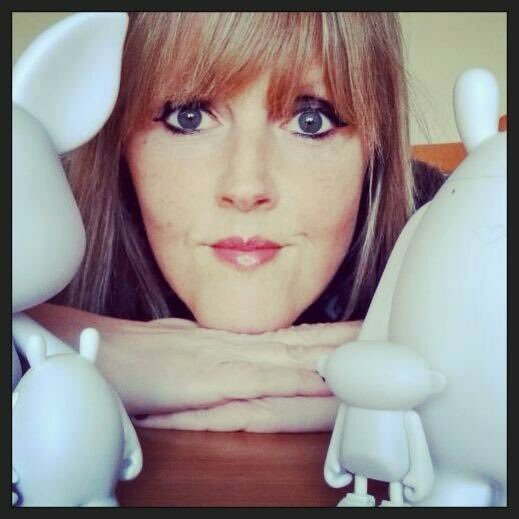 My aim is to share my own views on picture books old and new and hopefully inspire you to try something new along the way. Congratulations on your beautiful blog! I love your book reviews. I will have to check out your recommendations — they all look fabulous! Thanks for saying so! We’ll check out your reviews for inspiration too. I could try and “like” every page and review you post…but that might take quite a while. For now I’ll leave a comment and a ‘like’ here. Great stuff. I absolutely share your passion for picture books!! I am an elementary and special ed teacher and I am always happiest when I am reading aloud or helping a child discover the wonders of books! I am also a self published author myself; hoping to make a difference with anti-bullying activities for today’s youth. Great to find like minded people and continue spreading the word about anti-bullying! I came upon your blog by digging around on Twitter and am happy to land here! It’s incredibly challenging to write a good – let alone great – children’s story. Eager to read your reviews and insights! Thank you so much for stopping by and we hope you enjoy our future reviews. Lots of exciting picture books to come. Your blog has left me truly inspired! But has also left me wanting to add more and more books to BookBairn’s collection! Looking forward to future reviews! Love your blog. It’s fun to read your reviews. Keep up the great work. So happy to discover your blog, especially during this month long celebration of picture books! I am in love with your blog. I just started reading picture books this year and am enjoying them. So far, Shaun Tan’s The Arrival is my favorite. I don’t have kids so I do feel a bit weird sometimes reading picture books but they have such beautiful illustrations. Thanks so much Lucy! Coming from you that means a lot. Lovely to come across a blog just for picture books – looking forward to new posts. Love the site , such a wide range of reads , I’m with you on the whole picture book thing, still a cartoonist at heart! So excited to have found someone who is nuts about picture books too!! Thanks for creating your blog! I’ve just discovered this site – as an illustrator and aspiring children’s book author – I’m very glad I did! It’s so good to see all of these great books in one place. Found you through Instagram! Really looking forward to following your beautiful site! I am delighted to come across your blog. You sound exactly my kind of person from your profile here. Even I blog about picture books for the love of them. There are picture books which I buy for my 6-year-old son and then there are many others which I buy for myself to read. Simply can’t get enough of them.I am subscribing to your blog. Looking forward to reading your take on fabulous books. My name is Anamika and I found your blog via Twitter.